Steve Harris - I want a comedy night! STEVE HARRIS’s comedic ability comes from his flexibility and warm nature. Whether he’s dealing with hecklers or his mum has found out where he’s playing there’s always a level of warmth in his attack even if it is pre-emptive. His most obvious asset is his ability to get any audience on his side, a well-crafted act and a will and confidence to survive outside of it, is what sets Steve aside from many of his piers. 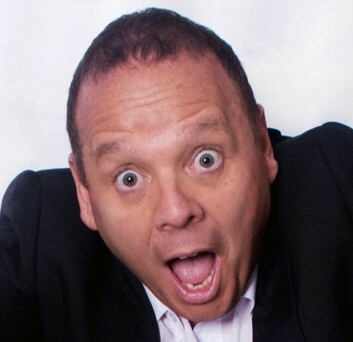 With most comedians you might get laughs with Steve you get a guarantee.Steve first leapt on stage back in August 1998 and within 3 months had won himself the coveted North West comedian of the year award after just 5 gigs. A finalist of the BBC New Comedy Awards and Channel 4’s “So You Think You’re Funny” in the same year. Steve went on to headline all of the top comedy clubs in the UK including venues as far flung as Hong Kong and Australia. Support slots from the likes of Johnny Vegas, Peter Kay and Lee Evans show Steve comes highly recommended from the heavy weights of comedy themselves.